Saturn is the furthest planet from Earth to still be visible with the naked eye, representing an apparent limit to our solar system. Saturn’s cycles are long, solemnly trudging around the zodiac every three decades, marking the maturation and passing of each generation with the unstoppable march of time. 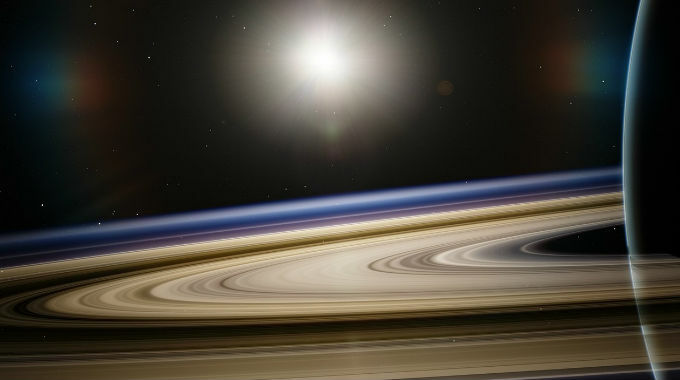 Even Saturn’s rings appear to bind and constrict the planet. Accordingly, Saturn is the planet of limits, boundaries, structures, obstacles, hardships, delays, tragedies, maturity, seriousness, responsibility, duty, punishment, foundations, longevity, sacrifice and hardening, the status quo and the old guard. The condition of Saturn at the time of our birth says something about the kind of challenges and fears we face, where we put great efforts with no ease or guarantee of success, where we attempt to build things, the parts of our lives where we are told ‘no’ and where we say ‘no’. Saturn tests, restricts and concretizes the topics of the signs it transits through.